Two teen boys build their own battle suit to fight bullies in a new graphic novel. American Elf, Johnny Boo and SuperF*ckers creator (not to mention musician and the first official Cartoonist Laureate of the state of Vermont) James Kochalka returns in March with a new graphic novel from Top Shelf — Mechaboys. The story focuses on two teenagers who build their own battle suit after getting picked on by bullies. Tara O’Connor’s Roots begins with her divorce as she falls into that fugue state familiar to many that accompanies the collapse of a relationship, moving back in with one’s parents and the very specific kind of depression that comes with those life-altering events. It also depicts how O’Connor pulled herself out of this, through work and starting a new project, and what happened when she traveled to Ireland to research her family history. The trip didn’t turn out the way she expected, and neither did the resulting book. 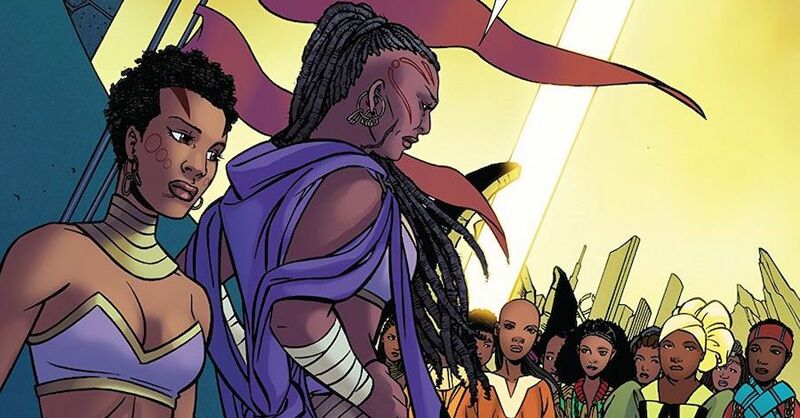 Roots was originally self-published a few years ago, but Top Shelf is now publishing a new, longer version of that story. In addition, O’Connor has The Altered History of Willow Sparks, a fictional graphic novel coming out from Oni Press early next year. Both are about changing one’s life and O’Connor sat down to talk about her work. The animator discusses her first graphic novel, surfing, the ocean and more. Kim Dwinell has been teaching and working in animation for years, but this years she’s written and drawn her first graphic novel, Surfside Girls, Book One: The Secret of Danger Point. The book, which is out now from Top Shelf, is a beautifully painted young adult mystery/adventure story. Two 12-year-olds, Samantha and Jade, live in the sleepy beach town of Surfside and become involved in s series of strange occurrences that include the titular Danger Point, ghosts, the town’s history, and a group of boys who find what they think is a baby pterodactyl. There’s a timeless quality to the adventure, but Dwinell is also threading other more complicated stories in the background, stories of the town, of the history of California, and the result is a book that manages to capture some of that spirit and energy found in Scooby Doo and a lot of other old mystery stories that so many of us fell in love with as kids, and establishing a rich setting. This is Dwinell’s debut book, but the way she uses design and layout throughout show just how much she understands about how comics work. Summer is over, but I reached out to Dwinell to talk about the book, her background in animation, and the ocean. Follow the hashtag #shitmypresidentsays to see, well, what the president has to say in illustrated form. 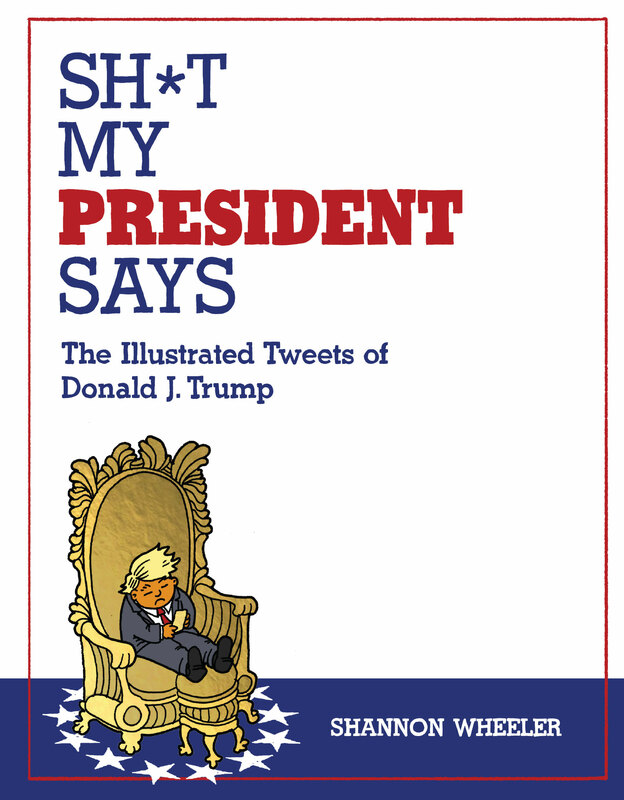 Shannon Wheeler took one for the team and read all 30,000 of Donald Trump’s Tweets as research for his new book, Sh*t My President Says: The Illustrated Tweets of Donald J. Trump. And on Thursday, he will rise to the occasion again: Trump has threatened to live-Tweet his reactions to former FBI director James Comey’s testimony before Congress, and if he does, Wheeler will live-draw the live Tweets—”bringing vital new insight to these important contributions to American presidential history,” according to Chris Staros, publisher and editor of Top Shelf Productions. To catch this first draft of history as it unfolds, follow @muchcoffee (Wheeler’s Twitter) or the hashtag #shitmypresidentsays. Top Shelf announced this week a new book by Shannon Wheeler, co-creator of God is Disappointed in You and Apocrypha Now, is tackling a topic a little less holy for his next book — Sh*t My President Says: The Illustrated Tweets of Donald J. Trump.